Today's post will be hitting closer to my hometown Hong Kong, here's a meaningful event that I wish to participate. 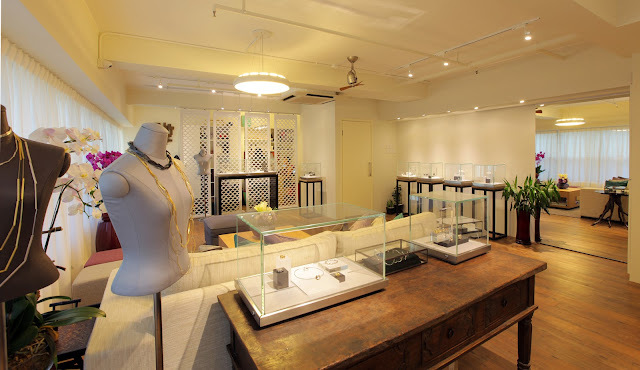 AME Gallery Hong Kong is known for its diverse appreciation of handcrafted jewelries by various international designers, and bringing in their "work of art" to the Hong Kong audience. The elegant gallery space showcases some of the most exquisite jewelry pieces made with high quality materials including gold, platinum, diamond and rare gemstones. In addition to its philosophy of fine jewelry, AME Gallery also believes in giving back to the community. "Jewels For Good" is a charity initiative, which was established by the AME Gallery about a year ago. The idea is to auction off one jewelry piece per month to support a local charity. The gallery owner Anna Cheng who previously worked for high fashion houses such as Louis Vuitton, Hermès, and Valentino, thinks that jewelries can percuss one's emotions and this initiative is a perfect representation of the word "AME" (latin meaning love and soul) in the gallery's name. I find this concept quite meaningful, as AME Gallery not only understands the art of jewelry designs, but also social awareness. 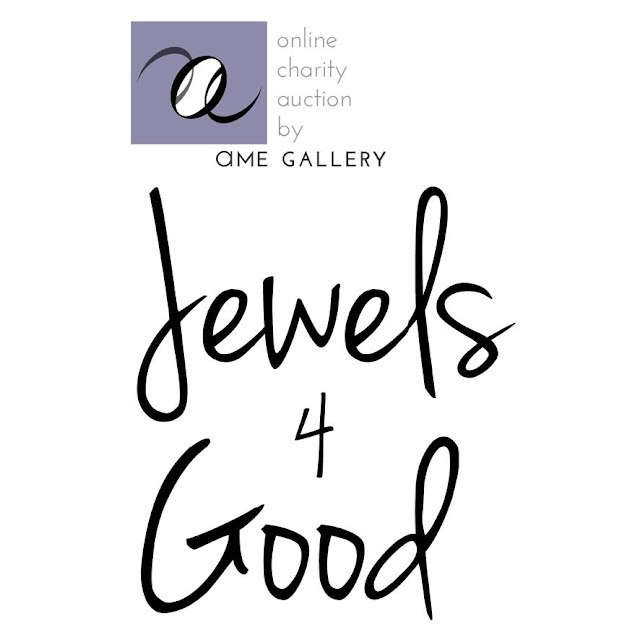 To celebrate the first year anniversary of "Jewels For Good" charity, AME Gallery decideds to expand their cause to benefit not one, but five charities of choice through five online jewelry auctions between September 1st thru 15th. 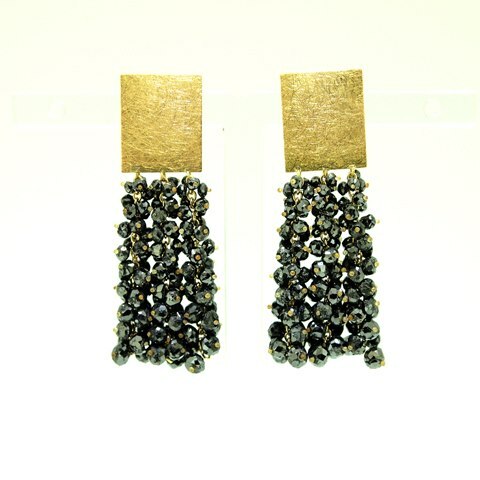 The five jewelry pieces were designed by five different artists from Europe and Asia. Each artist will select their choice of charity to donate the money to, and 100% of all proceeds will go towards the charities. AME Gallery will also subsequently contribute a further 10% of their sales during September 2012 of the designers’ entire portfolios to the cause. All the jewelries combined are retailed more than $80,000 HKD (roughly $11,000 USD). 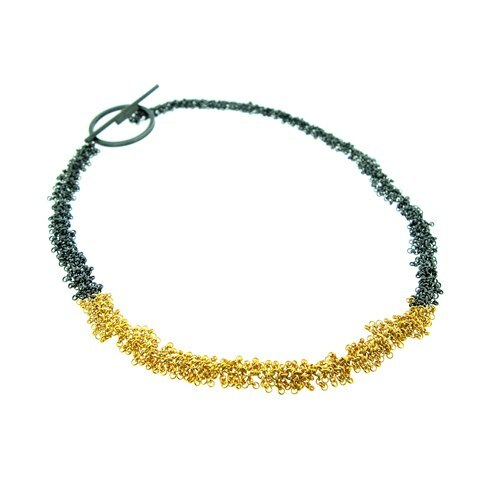 This piece made by the Polish artist is named from the delicate silver chains move and tickle the neck while worn. It is made of fine and sterling silver - 24k goldplated and oxidated. The oversized fastenign is on front or slightly on the back and is as an ornament itself. Karoline has chosen Hong Kong Dog Rescue (HKDR) as the charity which will benefit from this piece, as she strongly believe in animal protection. Oxidized and 24K gold-plated silver. Money rasied from this piece will go to Hong Kong Dog Rescue (HKDR). 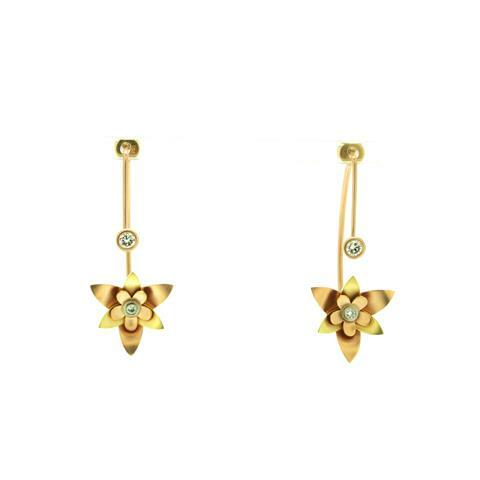 These precious flower earrings are made of 18k yellow gold and white diamond total weight of 0.75ct. The flower symbolizes the blossoming of feminity - celebrating women and their achievements. Salima has dedicated her piece to Mother's Choice, a charity that helps many young girls facing crisis pregnancy and babies and children who do not have permanent families in Hong Kong, giving love and care and a real hope for the future. This beautiful brooch is made of silver and baroque pearl. 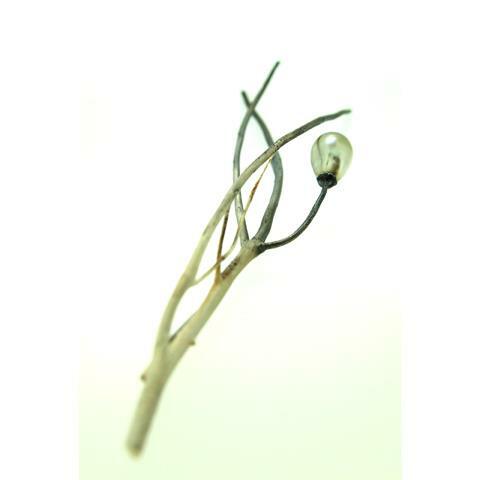 The organic form of the brooch is mimicking a piece of tree branch, with the pearl "growing" on it. signifying the natural resources surrounding us and how we should treat them preciously as this piece of fine jewelry. Mei wants to donate this brooch to Jane Goodall Institue, Roots & Shoots Hong Kong, a charity that promotes green living through education in local schools and activities. 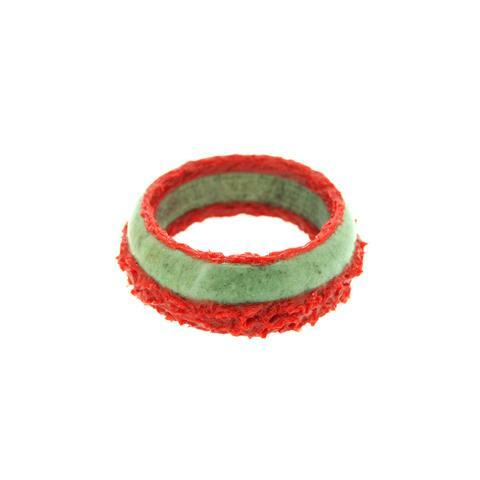 This set of 2 bangles made of Cinnabar, Jade and Acrylic Polymer Dispersion. They symbolize the personal relationship of Tricia and her family. "The relationship among a family is told through the notion of Chinese seall carving and stamping process. And the "I" has become the result of the parents." Tricia's piece is dedicated to Art in Hospital, a charity which carries out art-related activities in hospitals in Hong Kong. For those who are interested in owning a piece of one of a kind designer jewelry for a good cause, be sure to place your bid when the online auction opens. The highest bidders will be revealed on September 16th, on AME Gallery’s website and the special Jewels For Good Facebook page. The jewellery will be presented to the winning bidders at AME Gallery’s 1st anniversary party on September 19th. Cheques for the charities will also be presented.